This Folding Picnic Table folds up small enough to take with you on your next outing. This table is super versatile, it is not just a table. 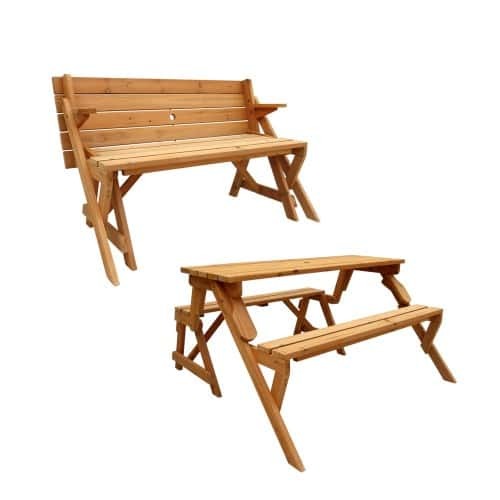 It also folds into the shape of a bench so it is great for many different things. An excellent way to make sure you always have a seat while fishing or camping. Also a handy item to have around for backyard parties or gatherings. It is easy to convert the table into a bench and it is made from high quality materials. A solid wooden piece that is resistant to decay. Definitely a worthwhile investment that you can use for a long time!